Heather Daam is a designer and design researcher that works with people. She believes that different disciplines can share knowledge towards a common goal and empower people as experts of their own knowledge and experience. She is interested in understanding the role a designer plays in bringing together different stakeholders in the design process and focusing the process around the stakeholders. Her strengths include leading workshops, encouraging people to think together, and generating enthusiasm in the process. Heather has spent most of her professional career working in the Netherlands where she received her Master in Design ‘Man + Humanity’ at the Design Academy Eindhoven. 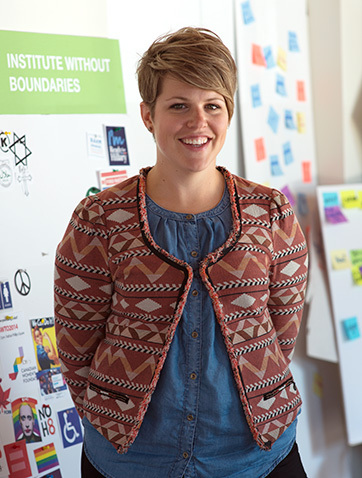 She is a former principle designer at T+HUIS, a social design and educational community organization. She has also worked as a Design Research Associate for the Design Academy Eindhoven. Heather has always carried out many independent projects in the fields of social innovation, social design, and education, and has cheerfully presented and been published internationally.